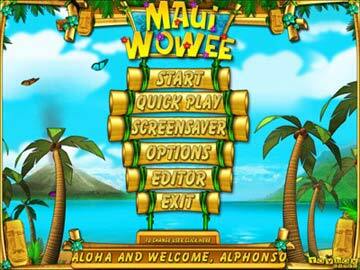 Are you ready to Maui Wowee? 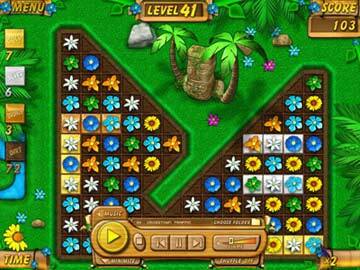 Get ready for a refreshing new twist on the classic style matching game. In Maui Wowee you slide the game pieces vertically or horizontally to make matches. When all of the tiles in a puzzle board have turned from dirt to bronze, silver, or gold, you win! 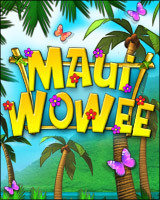 Maui Wowee is loaded with over 200 levels and endless amounts of features. Toybox has introduced it's Media player that allows users to play their own music while you play! 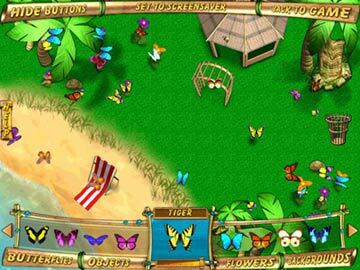 Maui Wowee also includes a fully customizable screen saver, a level editor that allows user to build his or her own levels and even a classic swap mode for the people who just can't get enough of this classic game.